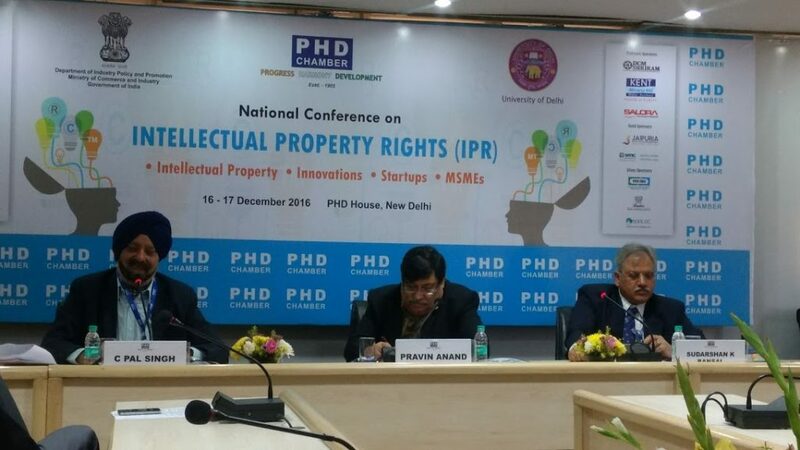 The National conference on Intellectual Property Rights was organized by the PHD Chamber of Commerce and Industry with a focus to share the insights of various stake holders on diverse issues on Intellectual Property. The conference witnessed participation from various stakeholders including Academic & Industrial Researchers, Practicing engineers, Individual Inventors, Entrepreneurs with knowledge intensive product/ service offerings , Medium, Small and Micro Enterprises (MSME), Startups, Students of Sciences, engineering, Pharma, medicine, law and allied disciplines. Mr. Sudarshan Kumar Bansal (Senior Partner), United IPR was keynote speaker on the session and addressed issues with respect to IP Infringement and Enforcement.